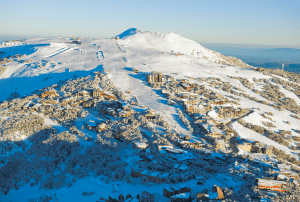 Ten different resorts, 135 lifts and more than 200 runs– all pummelled by regular powder top-ups throughout the snow season. 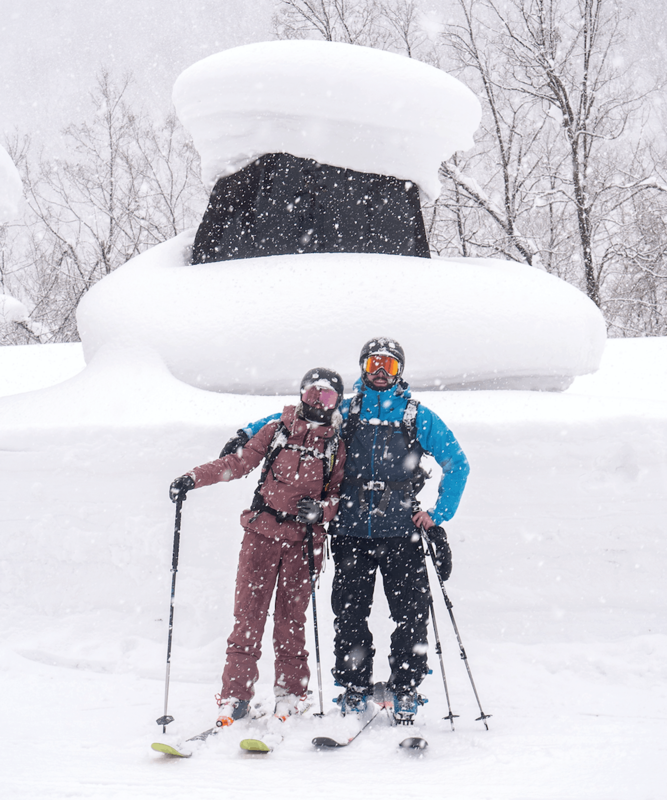 If you haven’t been to Hakuba yet, here’s why (and how) you should. There are few places in the world where you can buy a beer out of a vending machine for the equivalent of about AU$3. Even fewer places offer such convenient tipples on the side of ski slopes. In Hakuba, lager-dispensing vending machines are just one of the intoxicating features of a visit to this buzzing Japanese ski town on the main island of Japan. They jut out from thick powder snow at the base of mountains, to the joy of exhausted skiers and snowboarders needing carb replenishment. And while cheap beers are a major drawcard for the many Australians visiting Hakuba each year, they are certainly not the only one. 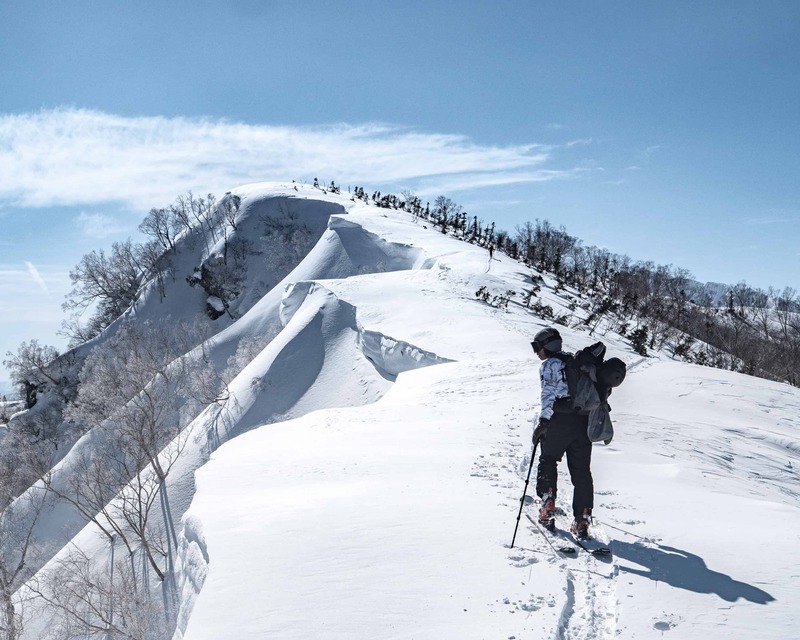 More than 11 metres of snow (known as yukiin Japanese) top up the ski slopes on an average year in Hakuba. 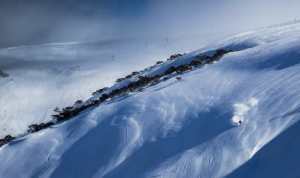 10 different ski resorts, 135 lifts and more than 200 runs are also enticing stats claimed by the region. 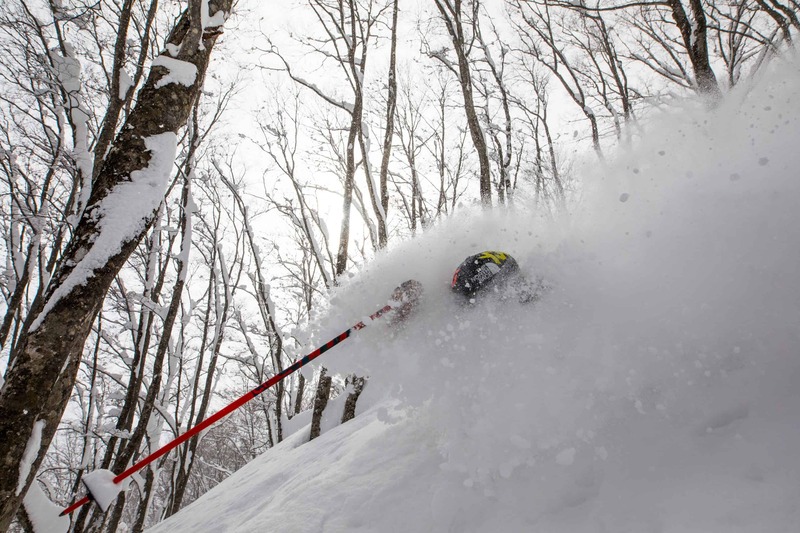 Perhaps even more enticing is the fact that those Australians who hold an Epic Pass (a season pass at Perisher) can ski five days for free at any of Hakuba’s resorts. Like in Niseko, plenty of Western food and accommodation options have popped up in Hakuba to cater to the growing international market. Most restaurants have English-speaking staff and you can get by without knowing a word of Japanese (if that’s how you like to travel). But there are still some secret powder stashes and unique cultural experiences that you won’t find anywhere else in the world (hello, vending machine beers). 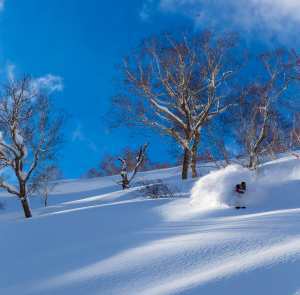 From late November through March, Hakuba’s 10 local resorts are blanketed with light and dry yuki, Japanese for snow. It’s the type of snow that whisps away in the wind when you try to crush it together for a snowball. 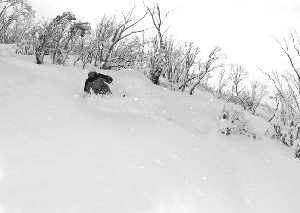 This Hakuba powder is an absolute dream to ride. 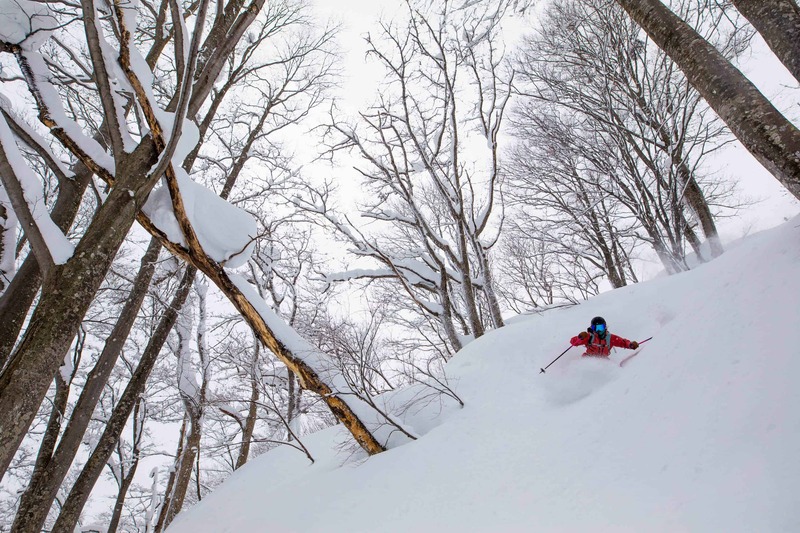 The most recent 2018-19 season was a late starter and Hakuba didn’t see any snowfall until December, so you’re best to book a January or February trip if you want guaranteed powder. Don’t worry too much if the snowfall is minimal in December: there is a saying that declares “once the Japanese powder window opens it stays open”. 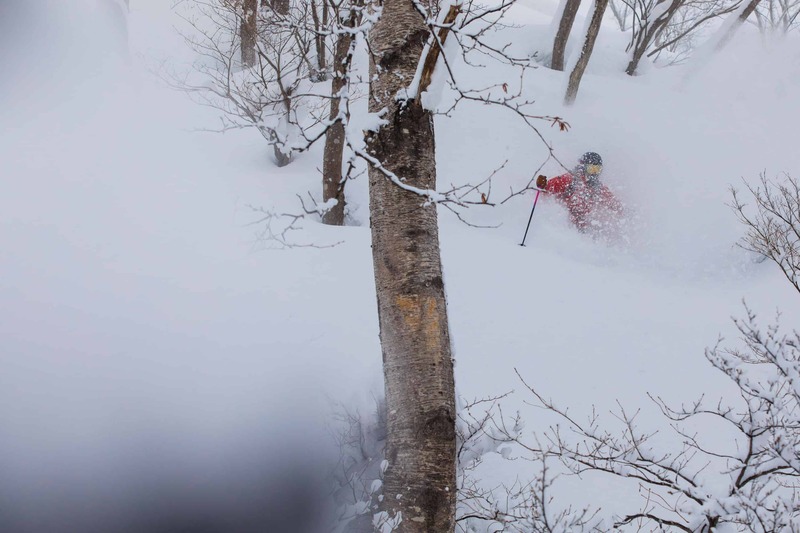 This has proven true in recent months as Hakuba has copped at least twice-weekly storms since the snow began falling. The slopes can be busy during the January school holidays but quieten down in late February and March. Note that accommodation becomes cheaper in the second half of February, when there is still plenty of powder to go around. Qantas and Jetstar fly to Tokyo daily and flights can be as cheap as $400 one-way on sale prices. 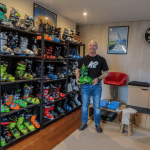 If you book with Jetstar, beware the luggage limits and read the fine print in your ticket carefully – in most cases you will need to purchase extra oversized baggage to bring a ski bag. Do this in advance or you will be stung with massive fees at the airport. Once in Tokyo, getting to Hakuba is a quick trip via bullet train or bus. The bullet train zips you to Nagano in under three hours and from there you can take a local bus or shuttle to the slopes. The train journey has both good and bad point going for it: riding the 300km/h bullet train is exciting for first-timers, but the journey requires three connections and can be tricky with baggage. 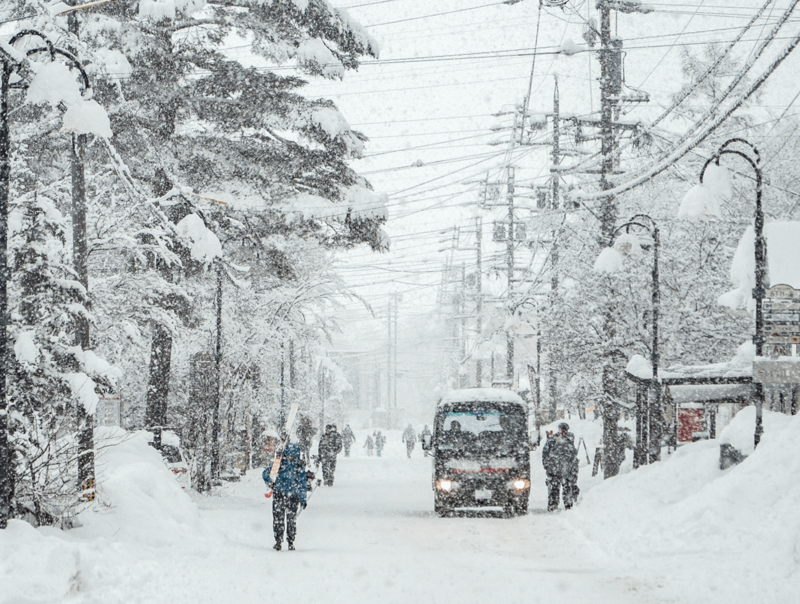 If you are travelling with a family, the easiest option may be to book a transfer from the airport direct to your accommodation with the Nagano Snow Shuttle. It takes a little longer (about five hours) but is cheaper and easier than lugging your bags between train stations. 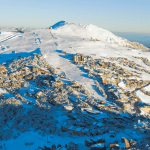 Liquid Snow Toursoffer some really cheap package deals that include accommodation at well-located hotels, lift tickets and airport transfers. This will save you the time and hassle of booking each individual item yourself. Hakuba Valley includes 10 different ski resortssurrounding the most central town area – which is closest to a resort called Happo-One (pronounced oh-nay, not “one”). You can buy multi-day Hakuba Valleytickets, which give you access to any of these resorts and are useful if you want to ski two resorts in one day (some resorts like Cortina and Norikura are connected via lift access, and it’s great to be able to ski both). You will also save time not lining up for tickets each morning. However, it ends up being mildly cheaper if you stick to one resort per day and are happy to queue for a single day ticket at each. The main resort of Happo-Oneis potentially the most crowded because it is closest to town. It also reaches above the tree-line and can be windy or icy due to the exposure. On the plus side, this exposure offers wide areas of untracked powder when there is a snowfall (which happens every few days in a standard Japan season). Tree skiing is best (and one of the few areas where it is allowed by ski patrol) at Cortina, which is a little steeper than the other resorts and can be fantastic on a powder day. Unfortunately, the Cortina secret is well and truly out as it can also be the most crowded place on a powder day. It’s about an hour bus ride away from Happo and the mountain doesn’t open until 9am – so it can be frustrating for early birds itching to get out on the powder. Hakuba Goryuand 47have extensive terrain for intermediates and advanced skiers, and 47 is popular among snowboarders for its terrain park. Tsugaikeis fantastic on a powder day (head to the trees) and Iwatakeis the best place to cruise groomers when it’s sunny. The view from Iwatake’s City Bakery at the top of the mountain, looking over the Japanese Alps, is outstanding. A note about skiing powder in Japan: most resorts have strict rules about going off-piste and in some you must attend an avalanche briefing to receive a tag or vest that enables you to go into designated “powder zones” (Tsugaike and Goryu specifically require this). The ski patrollers are extremely strict on those gaijin(foreigners) who ski under ropes. They will take your pass. You have been warned. There are three main neighbourhoods in Hakuba; these are Echoland, Happoand Wadano. Most hotels are close to the ski slopes of Happo-One in Happo and Wadano and are serviced by regular inter-resort shuttle buses. It’s probably most convenient to stay in a hotel near a shuttle bus stop because the (free!) shuttles are essentially your ticket to ride other resorts. But if you’re hoping for a cheaper option and don’t mind walking a bit, look for Airbnb rentals in Echoland. 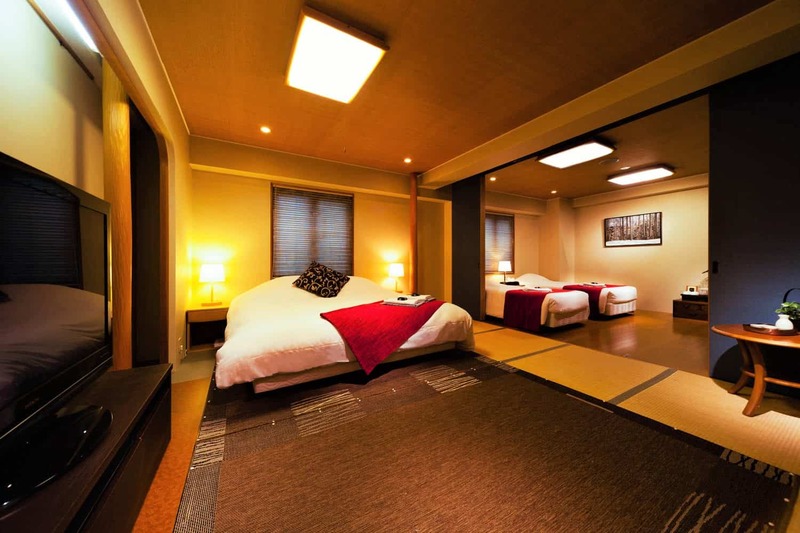 A family suite at the Hakuba Spring Hotel. Hakuba Springs Hotel, the Tokyu Hotel, and Phoenix Hotel & Chaletsall have shuttle stops pretty much outside their front doors. The luxe Phoenix Hotel is operated by a lovely Australian couple, Sally and Peter, who are all too happy to chauffeur their guests out to dinner or to the slopes each day. The Australian staff make things easier from a language perspective, however you can still enjoy a semi-Japanese stay by sleeping on tatami mats (if you choose a Japanese room) and relaxing in the in-house onsen (it’s technically a spa because it doesn’t use onsen water, but you wouldn’t know). 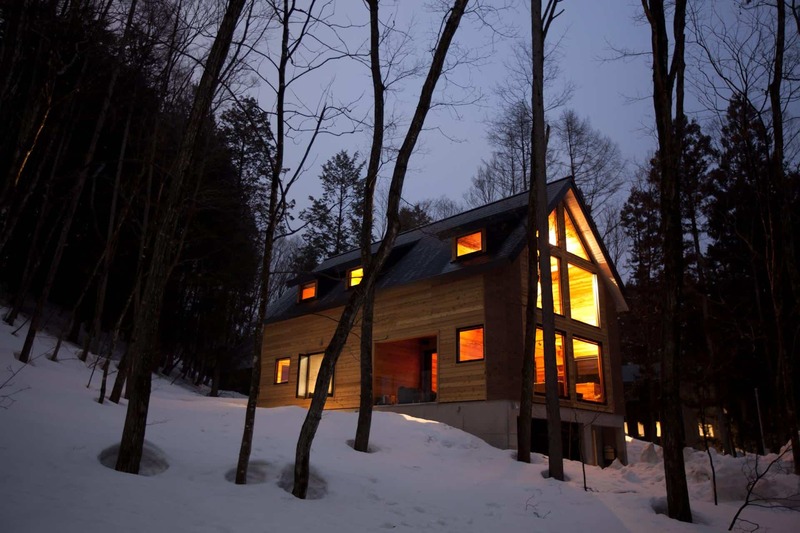 The luxurious Phoenix Chalets in Hakuba. Hakuba Springs Hotel is extremely convenient because shuttle buses stop at its doorstep, and it is just a 2-minute walk in ski boots to the central Hakuba bus station. This is where you can catch buses to Cortina and further afield. Hakuba Springs has a popular bar and restaurant downstairs (Jack’s Bar and Shakaru Japanese restaurant), plus an in-house onsen for guests. It is also in prime position for walking to other restaurants at night. From wagyu feasts to Melbourne-quality lattes and sushi that’s good enough for Taylor Swift: you’re spoiled for choice when eating out in Hakuba. 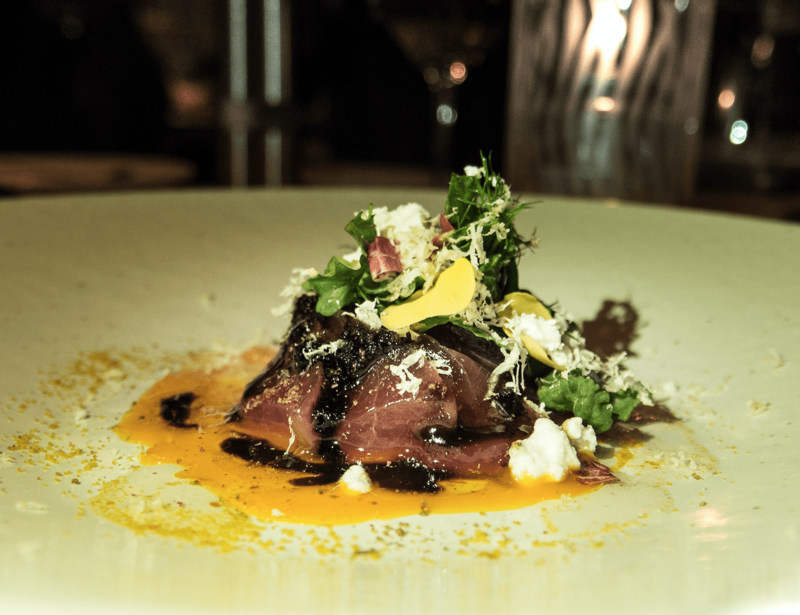 There are so many great restaurants I wrote an entirely separate article about which ones you must try here. Dining at Mimi’s is a must when in Hakuba. If I’m forced to name a few highlights, I’d mention Mimi’s Restaurant and Bar,Asuka, Monimoki Hoteland Kikyo-ya.Keep in mind that restaurants (especially these popular ones) can be very crowded during ski season, so be sure to book at least a day in advance by asking your hotel or lodge host to call them. Or, pop in after skiing and reserve a table in person for later on. You can catch the “Genki-go” night bus between neighbourhoods for just 300 yen (a little over $3) per trip and save a lot on taxis. 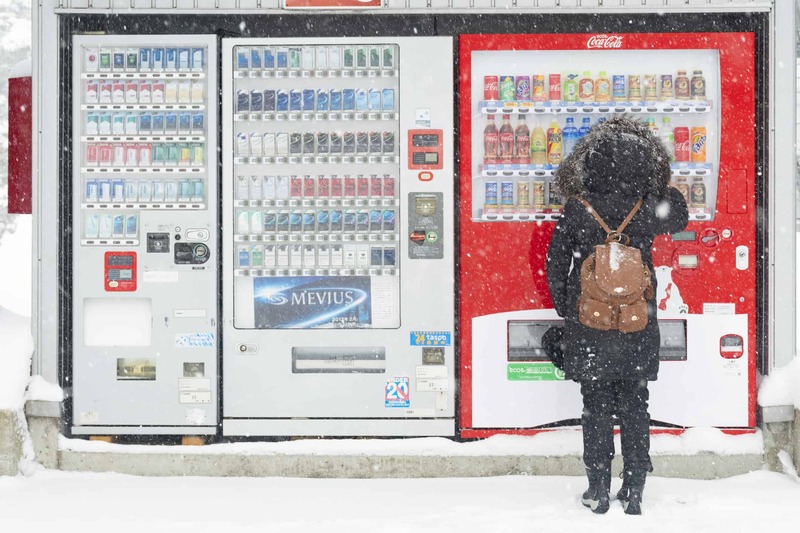 Fukushima, Japan 2-Feb-2019 A woman is buying soft drink through vending machine during snowing. Finally, don’t miss trying a beer, unusual snack or a coffee in a can from one of the bizarre vending machines that dot the streets and slopes in Hakuba. This is a must-do Japanese experience – much like heated toilet seats and bidets. Any drink with a red price label will come out hot, while the blue label signifies a cold drink (be careful when preparing to quench your thirst with an iced tea). The hot coffee cans double as useful hand warmers if you stash them in your pockets while skiing – just shake them to make them hotter again!